We got back from the US Saturday. Glad to be home. For the next few days, I’ll be posting pics from the trip. Above is a panorama view of the back of our house in Chesapeake Va. I thought it was in surprisingly good shape.
. Above is a panorama view of the front. And my Moms space ship car. Above is The Wife and my Mom at the Mall. AND above is a Crab from our vacation at Rum Point. You gotta love crabs. They are so tough. This guy is missing two legs on his left side and he is still ready to do battle with giant me. Always enjoy your posts and pics. Don't know when I'm getting your way. Why don't you and THE WIFE take the next brief holiday on the Brac? Welcome home, sounds like you had a wonderful time away. What a crab. The crab, I mean. Talk about brave. What a crab. Missing two legs and he still wants to snip your nose off. Gotta love 'em. You better not have eaten him! So glad you and wife got back home safely!! 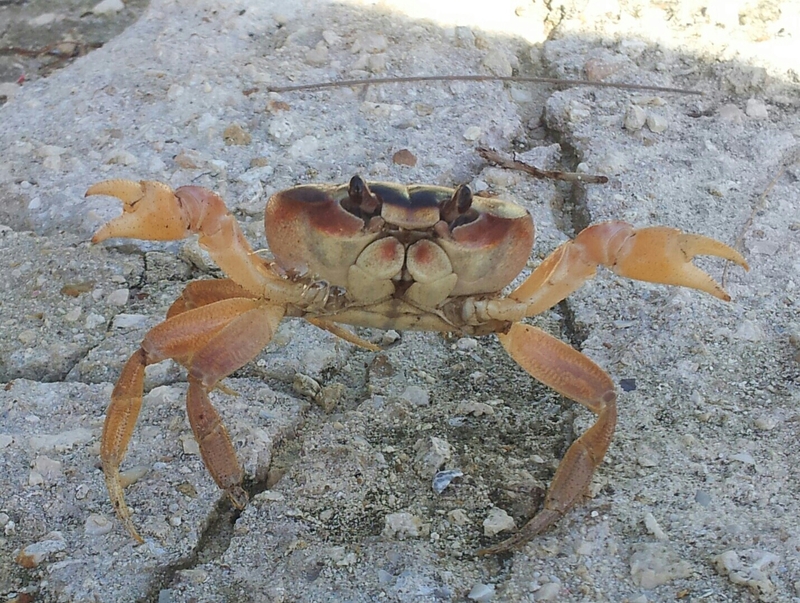 Last time I went to the beach, we sat and watched a crab for at least 30 minutes. He would dig, hide, skitter, dig some more. He put on a show. love the pictures..that's a ballsy crab.